New York: Scribner's, 1957. First Edition. Near fine/very good. First printing with the "A" on the copyright page. Near fine in a very good jacket, unclipped ($2.95) with some rubbing on the edge where the spine meets the front panel. 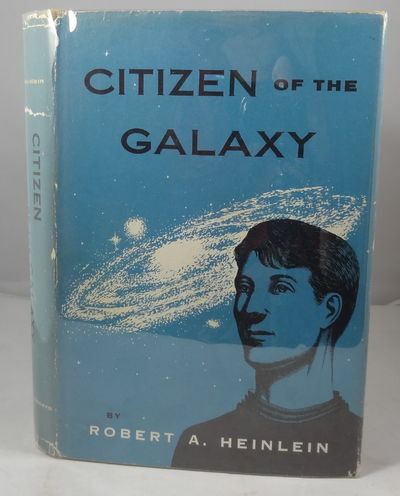 Also with a closed tear between Heinlein and Citizen. Clean gray boards with red ink lettering. Square and internally clean and sound.